Print out to box office during box office hours, also acceptable. 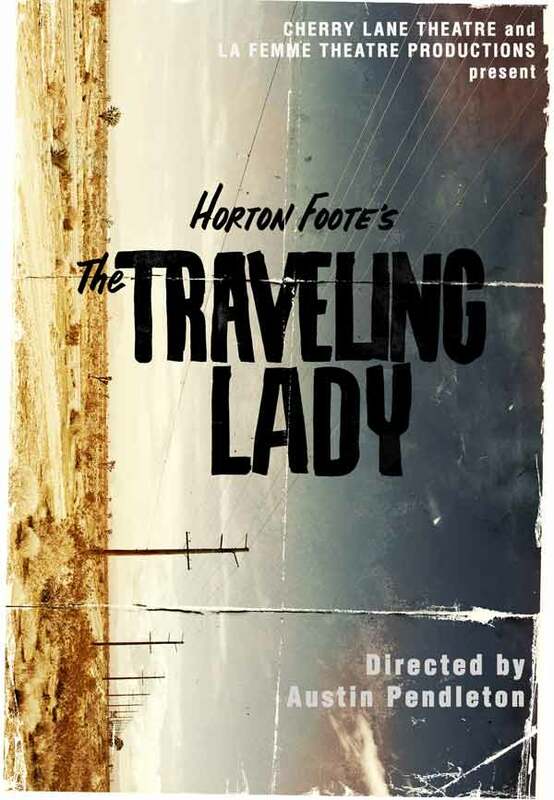 Penned by the beloved playwright and master storyteller Horton Foote, The Traveling Lady is the unforgettable tale of an intrepid woman who journeys to a small town in 1950's Texas to reunite with her husband upon his release from prison. A poignant story of loss and redemption, The Traveling Lady looks into the heart and soul of America. *Restrictions: Phone and Online Service Fees will apply at checkout. Subject to availability. Not valid on prior purchase. Offer cannot be combined with other discounts or promotions. Additional blackout dates and restrictions may apply. No refunds or exchanges. Offer may be revoked at any time.